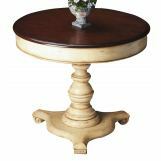 This captivating and versatile table features turned feet, impeccably turned columns and an equally impressive carved apron. 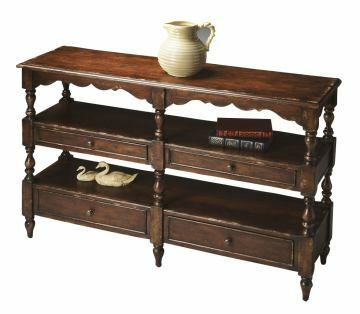 Beyond its exceptional styling, the table offers optimum functionality with four large drawers for storage, plus two wide shelves and tabletop for display. 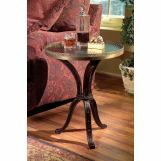 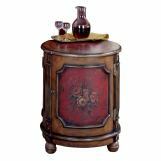 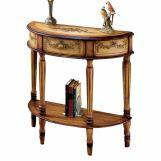 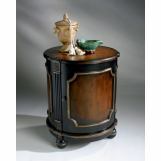 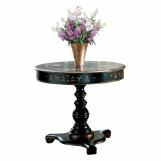 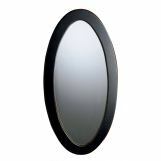 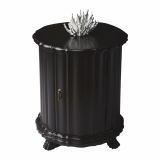 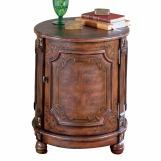 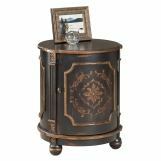 Crafted from solid poplar, cherry veneers and wood products in the painted Tobacco Leaf finish.